The Herndon Regional Wind Ensemble offers local musicians a professional environment to assemble and play for their mutual enjoyment, to provide cultural and educational enrichment for the community through public performances, and promote further development of musical skills in students and musicians of all ages! The ensemble will offer a series of free public concerts throughout the year. The repertoire will include concert band music, military marches, orchestral transcriptions, Broadway melodies, jazz, Dixieland, and popular music. All instrumentalists are welcome! Please fill out our interest form by following the “More detail” link. A member of the ensemble will reach out to you. We rehearse every Tuesday, from 7-9PM in the Franklin Middle School band room. Please note that we are no longer meeting at Herndon Middle School. Follow the link for directions and more information. 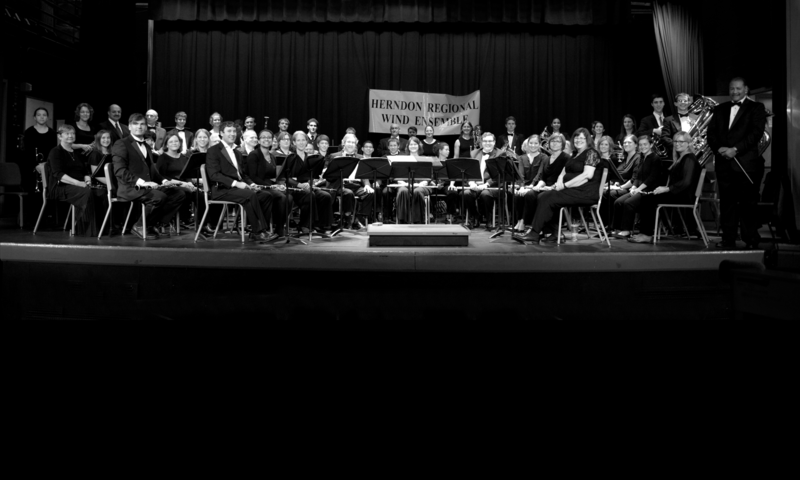 Herndon Regional Wind Ensemble is a 501(3)(c) nonprofit organization, which relies on donations from the community. You can make an easy donation to our organization using the donate button below. You can effortlessly support our ensemble by shopping with Amazon Smile. When you shop on AmazonSmile, the AmazonSmile Foundation will donate 0.5% of the purchase price of eligible products to Herndon Regional Wind Ensemble. Mark your calendars for two of our upcoming concerts! 2019 Season starts January 8th! Join us from 7:00-9:00PM in the Franklin MS Band Room as we kick off the new year. Copyright © 2019 Herndon Regional Wind Ensemble. All Rights Reserved.